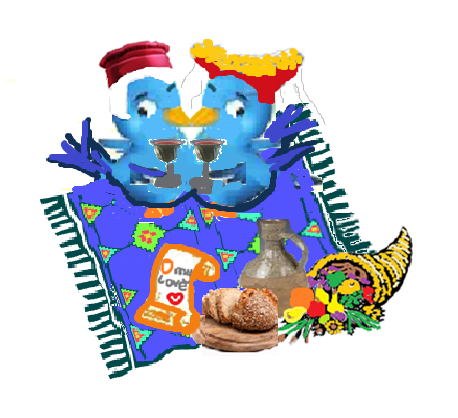 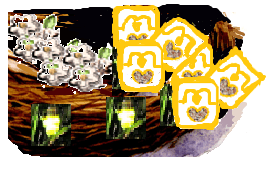 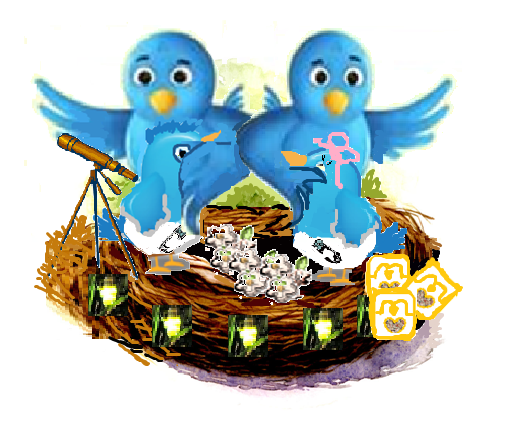 Tweet and Retweet returned, after spending a longer time than they had anticipated with the Psych Owl ogist, to find the nest full of flower petals and MacSeeds wrappers and no sign of the baby sitter. 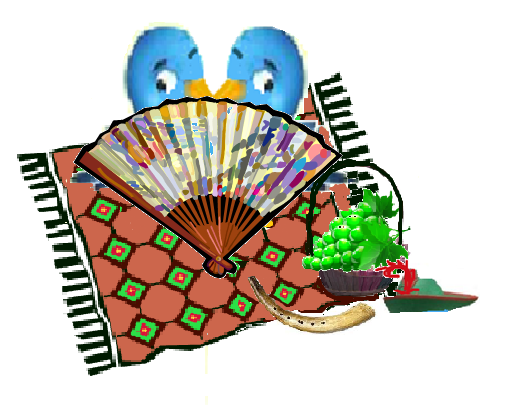 Apparently the baby sitter’s boy friend had arrived, uttering that same greeting and bringing fast food and flower petals from the A-May-ING festivities, and insisted on taking the baby sitter out (only for a moment or two he had said two hours ago ) so that they could go A-May-ING themselves. 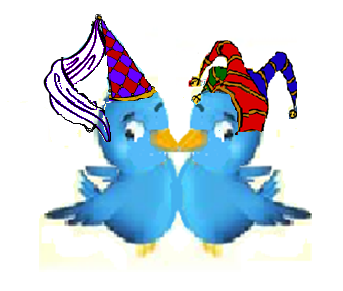 Tweet and Retweet covered the Tweetlets eyes. 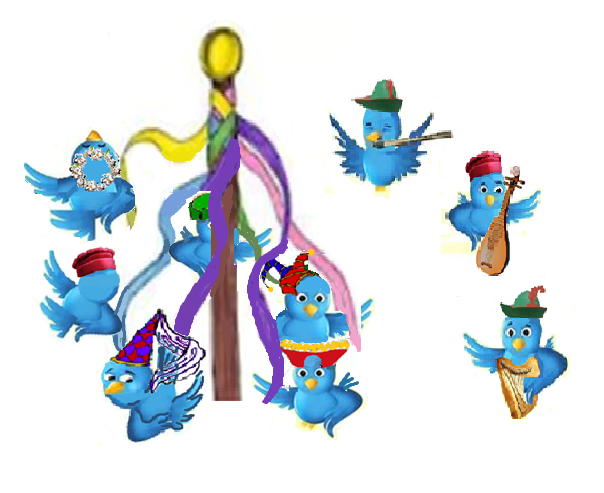 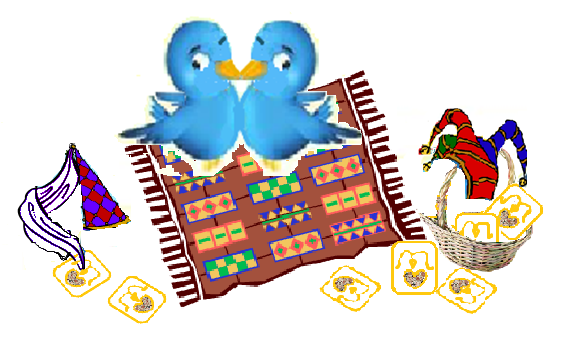 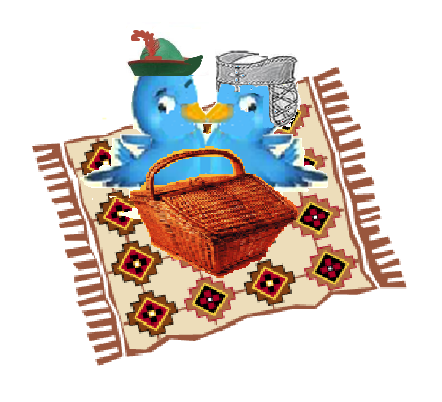 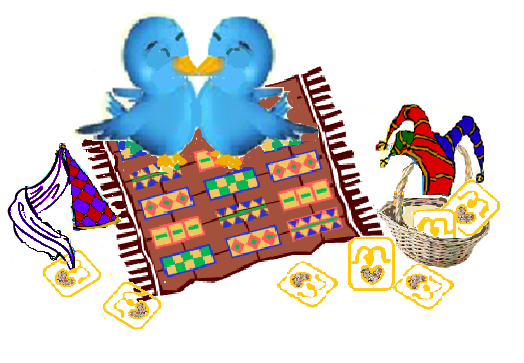 This month the Twitter birds are going A-May-ING Camelot style!